We are ‘Fazane Malik’ a multi award winning LIMITED EDITION womenswear label designed by UK based designer Fazane Malik along with her business partner and brother Joseph Malik. We produce capsule collections of your ‘forever’ pieces! Our woman doesn’t shop for fashion….rather she seeks timeless and effortless pieces that she can wear season after season. All our styles are LIMITED EDITION and we are currently producing no more than 50 pieces with each one individually hand signed and numbered by Fazane. We manufacture our garments to the highest standards so that they will last you season after season with each one featuring our signature monochrome printed silk as either a trim, lining or feature. We love to use luxury fabrics where possible and try and keep things natural by using silks, wools and cottons. We do love to pleat our garments however so as pleats aren’t permanent in natural fibres we have to use polyesters….only the best though ladies with an amazingly soft hand feel! We launched our label ‘Fazane Malik’ back in 2012 with a collection for AW12 to a select audience of buyers, press, friends and family and secured our first stockist (Airr Clothing, Derbyshire) off the back of this. Since then the brand has gone from strength to strength and is currently stocked in various exclusive boutiques, web boutiques & platforms across the UK, USA, Europe Australia and China. Fazane has had a love of fashion from a very young age…as a child of 4 she remembers creating clothing for her Barbie dolls out of old pillowcases and from then on her interest and talent grew. Her formal fashion education started at NCN Nottingham with a BTEC in Fashion & Clothing which then led on to a 4 year Fashion Studies degree at Derby University. During her time at Derby University she completed a year out in industry firstly at 69 Magazine a UK based Fashion & Lifestyle magazine and then moved to Australia where she worked with two of their top fashion designers ‘Akira Isogawa’ and ‘Gwendolynne’. Straight out of university Fazane secured a job as a Trainee Account Manager for a UK based clothing manufacturer High Fashion UK LTD….working her way up to their Senior Account Manager responsible for the whole process from design, sourcing, technical, pricing, product development and delivery for UK brands and retailers such as Hobbs, Jaeger, Paul Smith, Whistles, Boden, Monsoon, John Lewis, Ossie Clark, Marks & Spencer’s and many many more in the 8 years that she eventually spent there. Fazane started our brand with the backing of her brother whilst still working full time but after a year found the confidence and opportunity to give all that up and make the scary decision to concentrate on the business full time! We won a 6 month mentoring program with Fashion Angel sponsored by ASOSmarketplace as they felt that out of all the 400+ sellers on the marketplace our brand had the most potential for success and growth and it was really through the help and support we gained through this that gave us the final push to concentrate solely on the brand. Joseph is more of a silent partner these days but it always on hand to support Fazane and give advice, and as well as working for us he runs a successful construction company The Resurrection Group with their father, is the manager and drummer of a wedding band The Distractions and also a professional Drum Coach…we are a busy family! We now work out of a studio in Heanor, Derbyshire producing two collections a year with plans to expand the range to menswear and accessories in the near future. 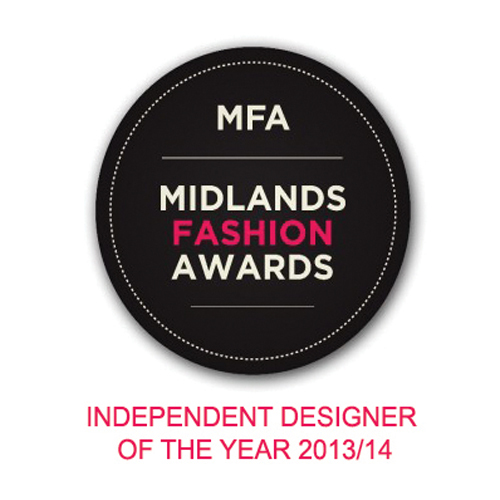 Fazane has won a number of awards…. 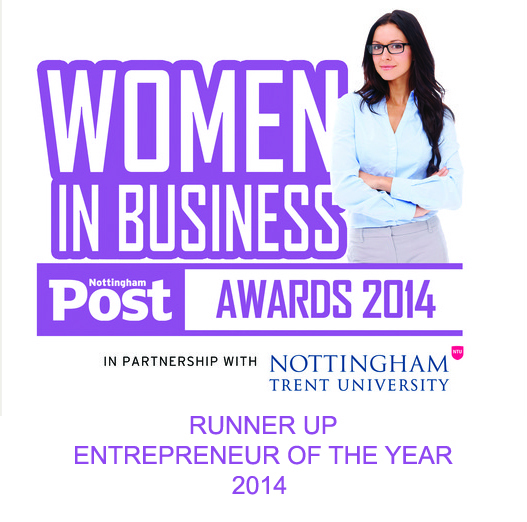 ‘Midlands Independent Designer of the Year 2013/14’ and most recently won ‘Runner Up Entrepreneur of the Year 2014’ at the Nottingham Post Women In Business Awards! Fazane also has another successful business working under her soon to be married name ‘Fazane Fox Apparel Production & Development’ working with other small brands and retailers. She produces and/or develops their ranges for them using her extensive knowledge and skills gained through working for a clothing manufacturer for so many years, and also the valuable experience gained in running a successful fashion brand.